Reaching across almost 28,000 km2, the diverse landscapes of the Sandstone Wonders region can be jaw dropping. 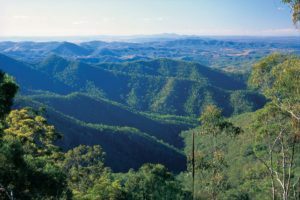 More than 25 mountain ranges make up the area, creating gaping valleys, towering cliff tops, deep gorges and rocky outcrops. These magnificent sites are often gently interrupted by freshwater streams or rolling plains. A combination of precious National Park and warm communities, this is an environment that calls you to immerse yourself in all it has to offer. 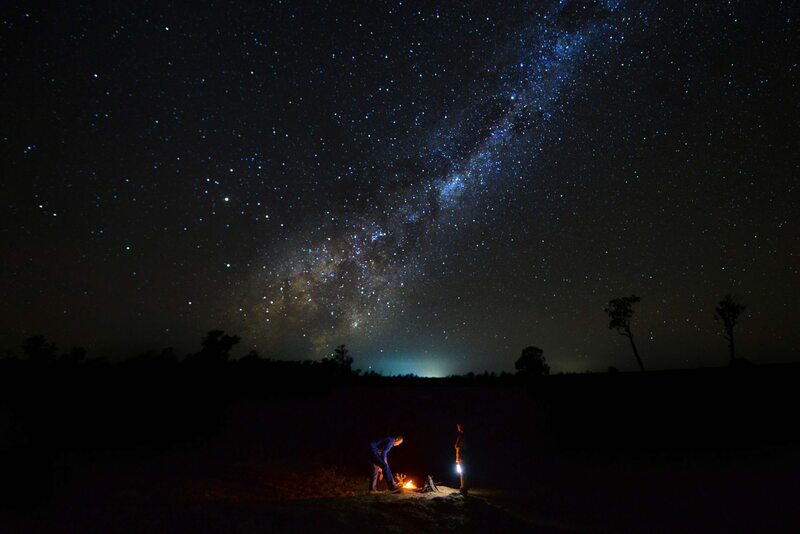 And there’s nothing that will bring you closer to the landscape than camping. 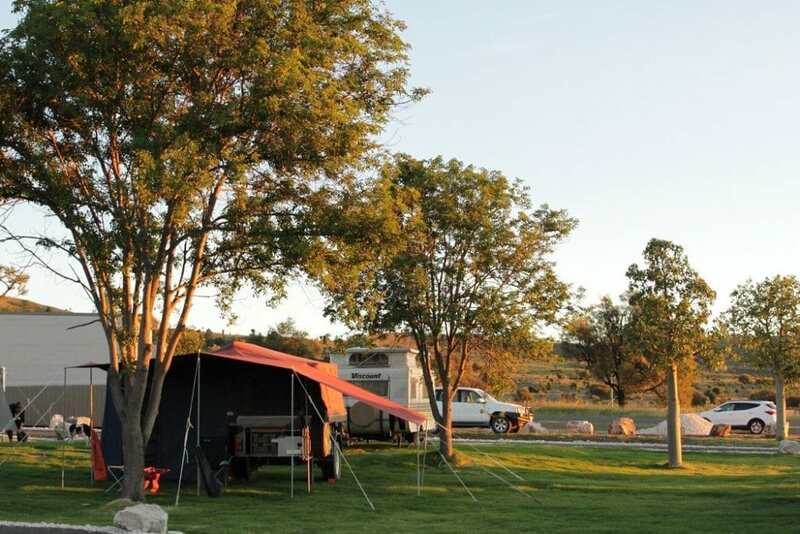 Free or low-cost, community or commercial camping options can help you make the most of the great outdoors and offer a hands-on encounter with Sandstone Wonders country. More adventurous campers can enjoy secluded locations off the beaten track if they are adequately prepared and self-sufficient. 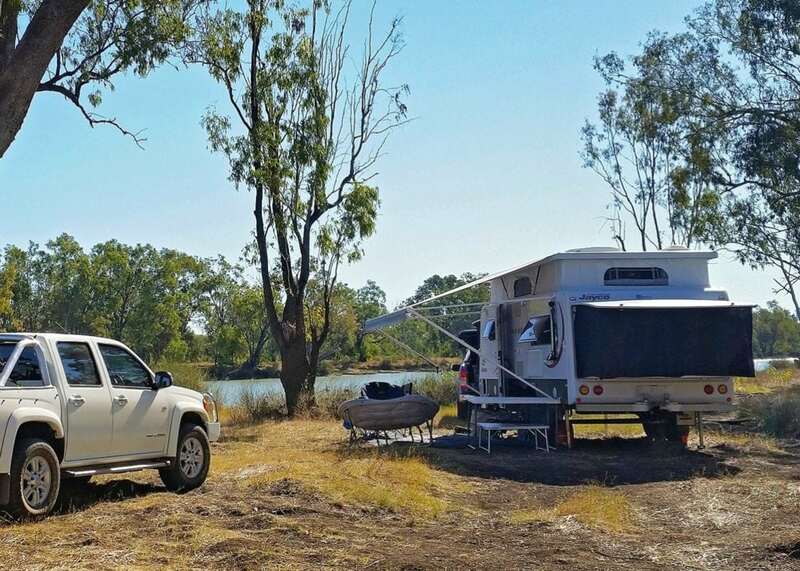 Roll on up to the lovely green grass of the Lake Callide Retreat and claim your powered campsite just a stone’s throw from the water. 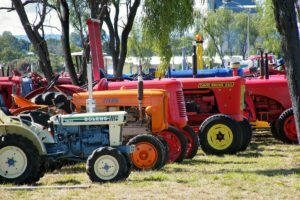 Just 10km from Biloela, you need not travel far to pick up supplies, access local events or attractions. Now that the tent is up you might drop a line for fresh golden perch (yellowbelly) or some barramundi to throw on the BBQ. Perhaps you’re chasing red claw and will be rewarded with an abundance of the tasty crayfish? Whatever you’re hoping to catch, fishing gear and nets are for hire, and lures and rods are available for purchase on site. 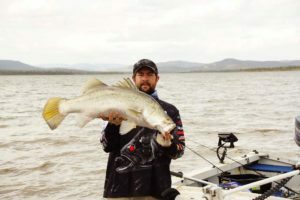 Fishing is a key local activity, however, there’s also plenty of other activities on offer as well. Hire a kayak, paddle boat, stand-up paddleboard, or enjoy a gentle walk along the shore of the lake and take in the expansive water at your own leisurely pace. Soon you will have earned a real barista coffee from the kiosk to sip as you relax taking in the water views or watch your kids on the nearby playground. 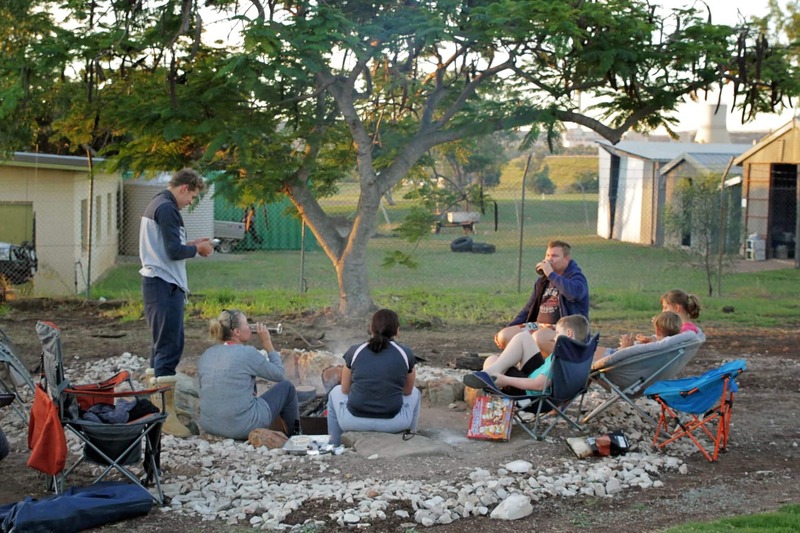 As night falls you join the other holiday makers at the communal fire pit. Reflect on the day’s journey or make some new friends. Roast marshmallows and share travel tips to enhance the next leg of your journey. Finish the day with a warm shower in the retreat facilities and retire beneath the canvas to prepare for another day of delight at Lake Callide and beyond. 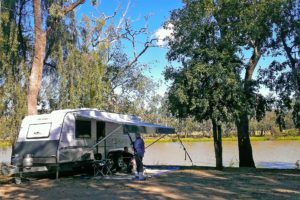 If camping in a tent or caravan is not quite your thing, then the new lakeside cabins with fantastic rural and water vistas at Lake Callide Retreat may tempt you as a first step prior to trying ‘real camping’. There are a host of other easy camping spots throughout the region for the convenience camper to try next. These also provide creature comforts such as running water and amenities (often with hot water showers), powered sites, BBQs and designated fire pits, picnic tables and sometimes recreational facilities and activities. From horse riding to jet skiing, fishing to hiking, some campgrounds will even welcome your pets – just check before bringing your four-legged friend as pets are not allowed in National Parks. 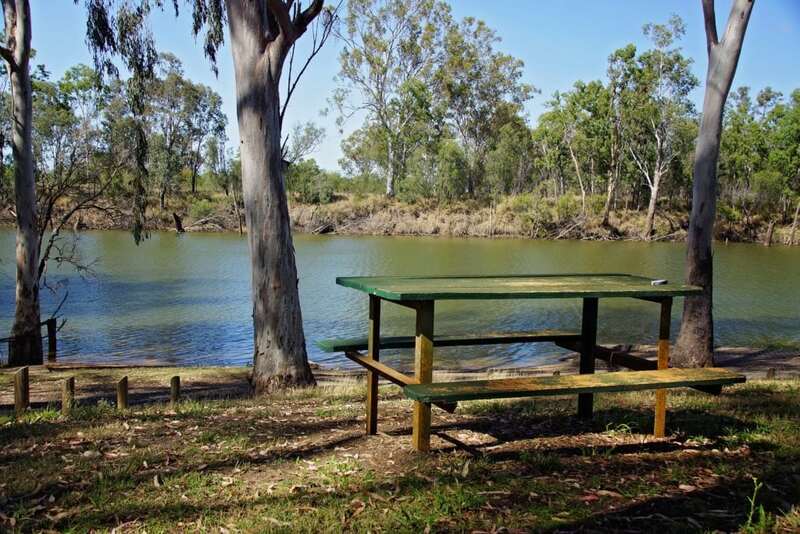 For those who want to camp near the water there’s several spots right along the Dawson River, such as the serene Theodore Junction Park Rest Area; the large level grass sections of shady Moura’s Apex Park (also offering wheelchair friendly amenities); or Glebe Weir also offering plenty of grass and shade. Camping is also available at Lake Murphy Conservation Park – a very attractive campsite, although the lake is often dry. 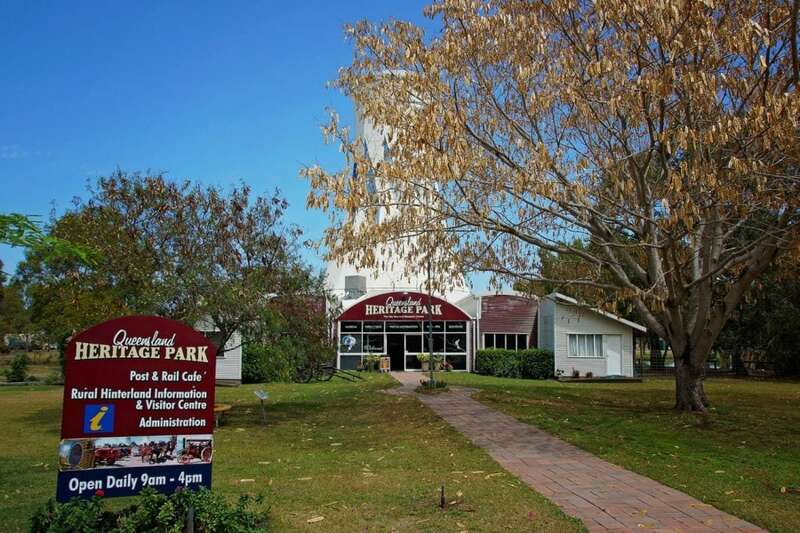 Apex Park, Moura, by the Dawson. Or perhaps you want to stay close to a town so you can catch one of the region’s major events or festivals? 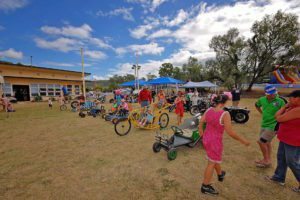 If this sounds like you then check out Queensland Heritage Park right in the heart of nearby Biloela – with sites available to coincide with events. Also conveniently located within or very close to townships are the Cracow Town Campsites, Goovigen Recreation Grounds, Taroom Polocrosse Grounds, Lawgi Hall, and the showgrounds in Theodore or Wowan – to name just a few. So you’re looking for the attractive, silent type when it comes to a camping destination? Secluded bush camping where you fend for yourself in nature’s beauty? Sorted. You’ll need to bring everything for this style of trip, including food and water, extra fuel, and emergency supplies. And remember, whatever you bring – you take with you. 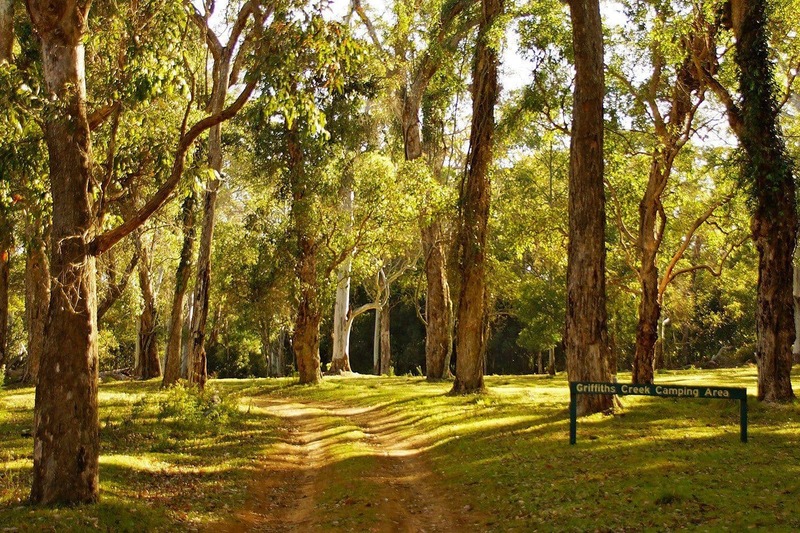 There’s no corner store or mobile coverage once you reach the three camping grounds in Kroombit Tops National Park. Choose between Griffiths Creek, the only site out of the three that is accessible by conventional vehicle (in dry conditions); The Razorback; or The Wall (both of which are suitable for high clearance 4WDs only). This is the real deal for those seeking solitude and campers must be fully self-sufficient. Come prepared with milled timber for firewood, rubbish bags to take your rubbish away with you, and even a portable toilet to minimise pollution in the area. National Parks camping permits are required and fees apply. 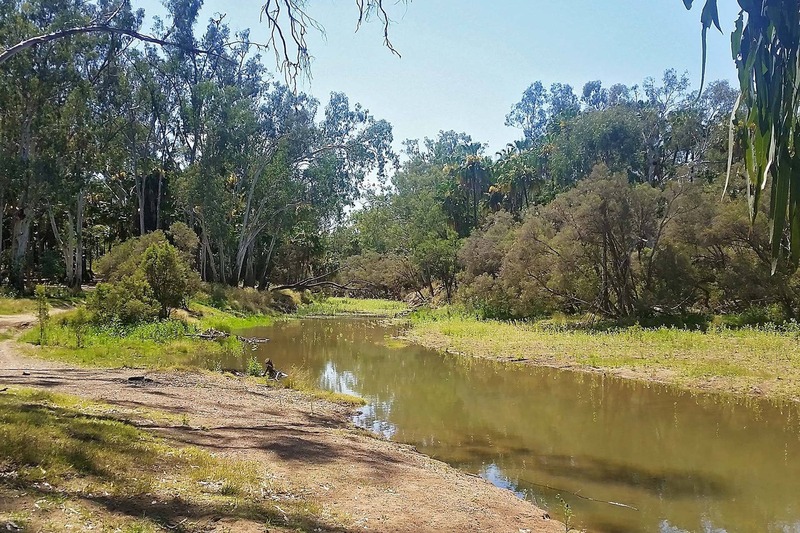 Another beautiful spot to relish the beauty of nature is Cracow Beach located on the Dawson River and Delusion Creek Junction. Surrounded by Livistona palms and native bush, this is the perfect place to relax. 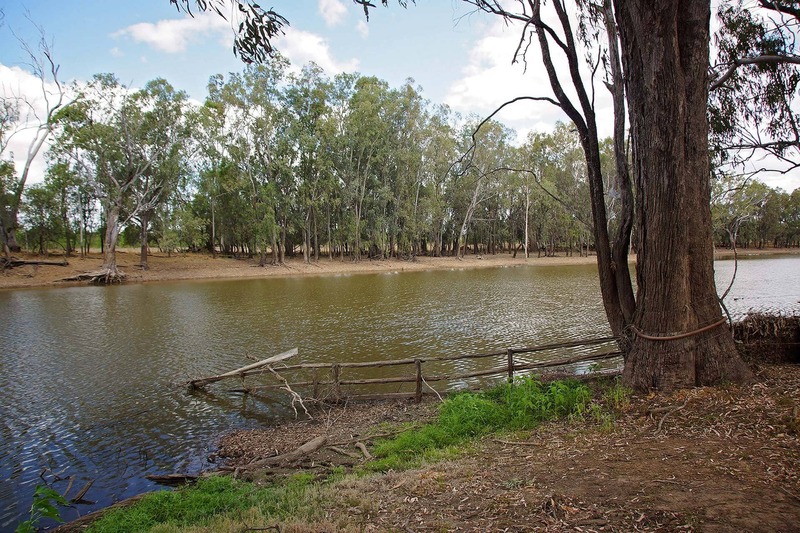 This is a free camping and water reserve on the national stock route and part of a working cattle property – a slice of authentic Australiana. 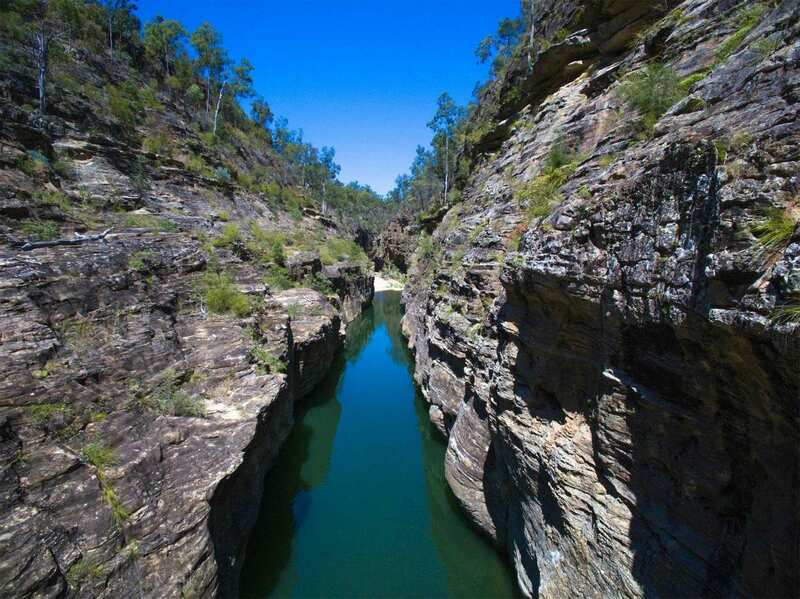 And if you dare, Isla Gorge National Park offers a small but spectacular campsite right on the edge of the cliffs. The ground is very rough but some spots are suitable for tent pegs, and waking up to so close to that view is quite the reward for your efforts. For those who want to be near the water try the free bush campgrounds on the banks of Lake Pleasant or Lake Victoria. However, it’s important to note that Lake Victoria is situated on black soil and not suitable for camping during wet periods. Other remote spots to set up free camp include: Don River or “Dumpy Creek” at Rannes, and Chain Lagoons along Palm Tree Creek. Love the idea of remote camping but not quite sure you can handle a complete lack of facilities on site? You want the seclusion without the entire *ahem* sacrifice? Expedition National Park is one of the few secluded locations that offers a pit toilet. This might be the perfect way to accustom yourself to the ‘wild life’. 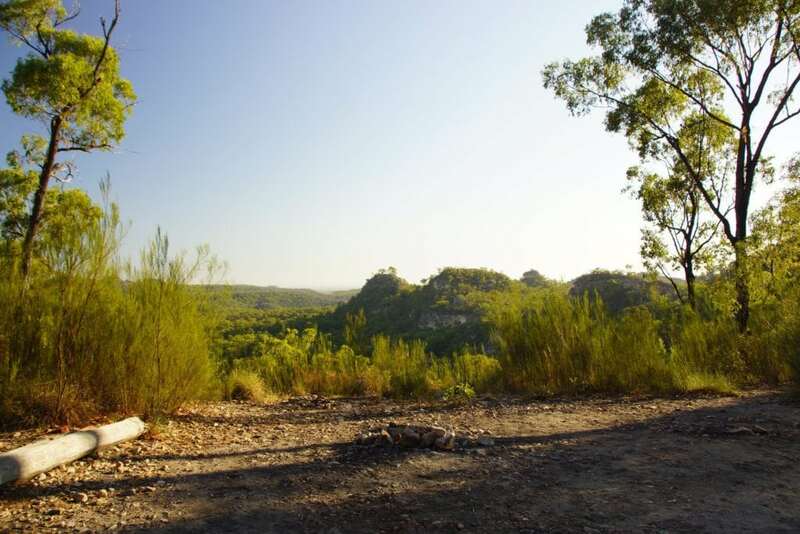 For more information on each of these locations as well as other camping destinations in the region please read our Sandstone Wonders Camping Guide which includes booking and fee information for each site. And please help to care for our precious places and leave them clean as you go. Remember: take only photographs, leave only footprints. 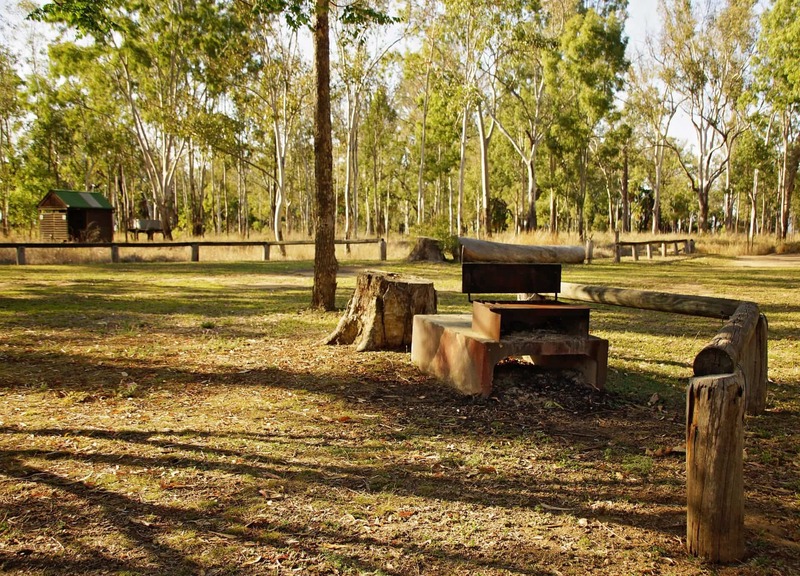 Camping spots are readily available in the region, but facilities are often limited, and most campers BYO all essential items. If you are planning to camp in a designated camp ground or National Park ensure you book and obtain the necessary permit. Book online at www.qld.gov.au/camping or phone 13QGOV (13 74 68). Charges may apply. For more on camping in the Sandstone Wonders read here. For more details download the Sandstone Wonders regional brochure or pop into one of the local Sandstone Wonders Visitor Information Centres to get up-to-date visitor tips, brochures and maps. Or check out some of the suggested self-drive tours.